Jill S. Miller has been a practicing Advanced Registered Nurse Practitioner (ARNP) for over 20 years and certified as a Women’s Healthcare Provider. As an ARNP, she enjoys caring and treating women throughout every stage of their lives, and providing quality healthcare to those in need. A Sarasota native, Jill relocated to Nashville, Tennessee, for graduate school. There, she attended the nursing program at Vanderbilt University where she obtained her Master of Science degree in Nursing in 1994.Following graduation she specialized in obstetrics, gynecology and urogynecology, while working with Vanderbilt’s Women’s Premier Health Group in Tennessee. In 2001, Jill and her husband, Mike decided to return to Florida to raise their children near Jill’s family. At that time she joined OB/GYN Women’s Centre of Lakewood Ranch where she worked in private practice until May of 2014. 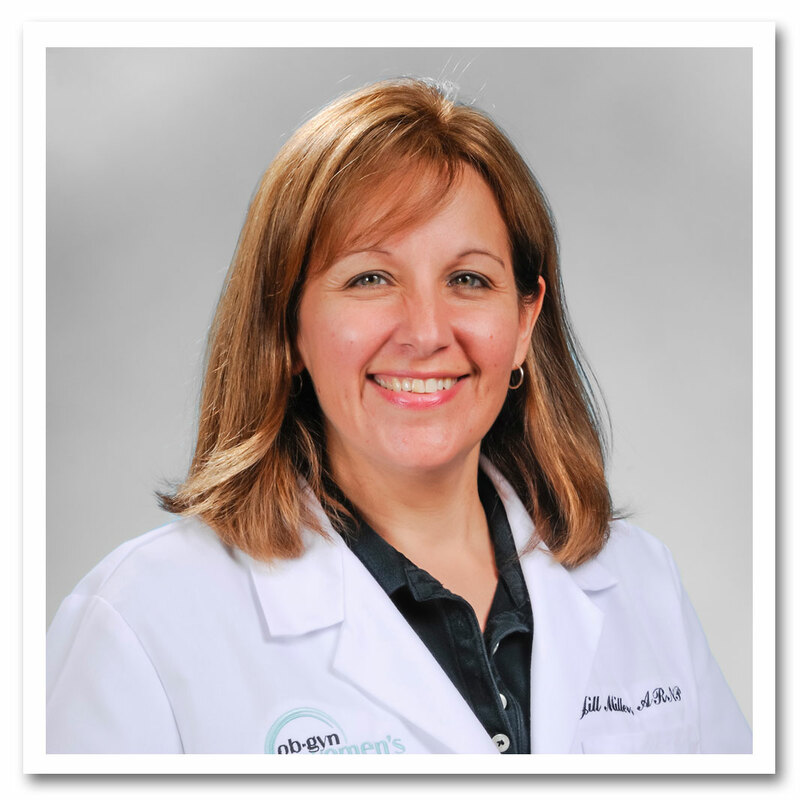 She rejoined Dr. Alvarez and Dr McCullen at OB/GYN Women’s Centre of Lakewood Ranch in February of 2015. Today, Jill enjoys providing obstetrical and gynecological care for women from their teen years, all the way through menopause. She is passionate about creating relationships with each and every one of her patients so she can better care for their individual needs. Jill is also a proud member of the Nurse Practitioners in Women’s Health (NPWH), and the Association of Women’s Health, Obstetric and Neonatal Nurses (AWHONN). In her spare time, Jill enjoys spending her free time with her husband and three sons, being outdoors, running, and reading. Schedule an appointment with Jill or any of our other dedicated team members today, or visit our services page to learn more about our services and practice areas.